PKF-FPM Accountants Limited is an award winning client-focused chartered accountancy and business consultancy practice with offices in Newry, Belfast, Mallusk and Dungannon, Dundalk and Balbriggan, Dublin North. With 105 staff, it uniquely serves the whole island of Ireland. The practice is a member of PKF International (PKFI) which is a leading global network of independent accountancy firms. Clients of PKF-FPM Accountants Ltd connect to a range of banks via Xero. PKF-FPM Accountants Ltd specialises in working with some of those banks; they can help with setting up bank feeds, and are knowledgeable about accessing bank loans and streamlining payments through Xero. PKF-FPM Accountants Ltd works with businesses across a range of industries. They specialise in helping to choose apps that integrate with Xero to boost business performance for some of those industries. 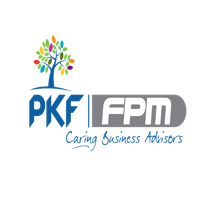 PKF-FPM Accountants Ltd serves clients who use 3 different apps that connect and integrate with Xero. Xero is beautiful online accounting software for smaller businesses. PKF-FPM Accountants Ltd can help make your switch as smooth as possible.